Pokemon Go Player's Guide for Glens Falls! Downtown Glens Falls is full of shops, restaurants, health & arts centers, all within walking distance of each other. Now, you can include Pokemon Go Gyms and Pokestops on that list! To help all you Pokemon Go players on your next trip to Glens Falls, we've walked around the area and recorded the locations of the area's Gyms and Pokestops so you don't have to. Take a look and then head out and enjoy Pokemon Go in Downtown Glens Falls! 1. LARAC Art Gallery - LARAC, located at 7 Lapham Place, is both a prominent arts center and a Pokemon Go Gym. Take over the Gym, and then explore the Lapham Gallery as you defend it. 3. Gothic Spire - The Gothic Spire at the First Presbyterian Church of Glens Falls, located at 400 Glen Street, is a Gym. 4. St. Mary's Church - St. Mary's Church at 62 Warren Street, is a Gym. 5. Glens Falls Fire Department - There is a Gym at the Fire Department at 134 Ridge Street. 6. Sully's Tavern - Walk a little further east and find a gym at Sully's Tavern, located at 214 Maple Street. 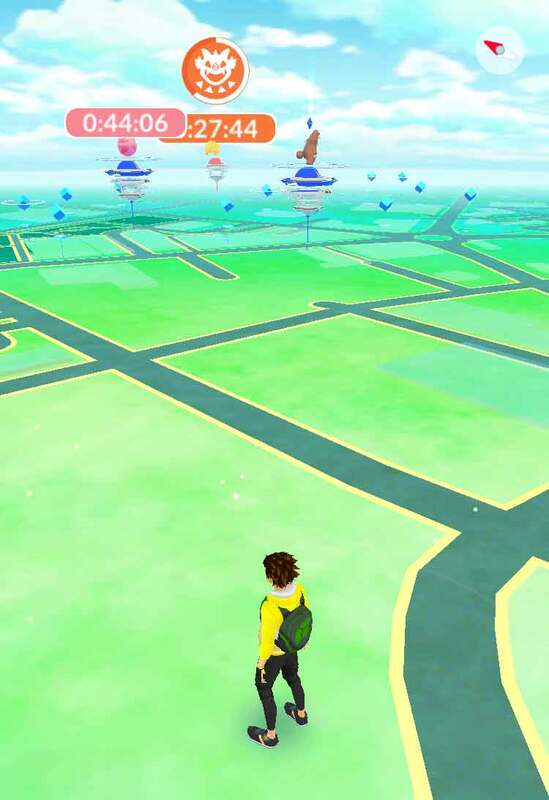 BONUS Crandall Park - Head over to Crandall Park for three more Gyms and a handful of stops, and you can stay off the city streets while you hunt! 1. Lox of Bagels and Moor - While enjoying a bagel at Lox of Bagels and Moor in Queensbury, you can also challenge the site's Pokemon Go Gym. Start your morning off with a win! 1. Glens Falls Post Office - The Pokestop at the Glens Falls Post Office is a short walk down Hudson Avenue from The Grateful Den. 2. Civil War Monument - The Civil War Monument at the intersection of Bay and Glen is a stop - don't worry, you can reach it from the other side of the street! 3. Crandall Public Library - While you're checking out a book or doing research at Crandall Public Library, remember to stock up on Pokeballs - there is a stop at each entrance! 4. H.R. Tyler Gallery - The H.R. Tyler Gallery Pokestop is situated on Glen Street near the Dinner & Movie Pokestop. 5. Cool Insuring Arena - Home to the Adirondack Thunder, Cool Insuring Arena is also a Pokestop. 6. Cool Insuring Arena Entrance - At 1 Civic Center Plaza, the entrance to the Cool Insuring Arena is a Pokestop. 7. 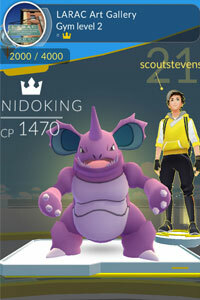 Steve's Place - While eating out at Steve's Place, located at 194 Broad Street, you can collect items from the Pokestop. 8. 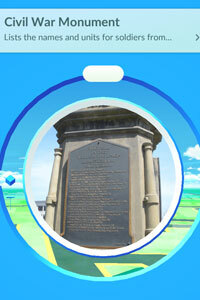 Chapman Historical Museum - Visit the Chapman Historical Museum at 348 Glen Street to learn about the history of the area and get some items from the Pokestop. 9. Weber Furlong Historical Marker - The Weber Furlong Historical Marker Pokestop is located on Ridge Street near the Cornerstone Pizza Cafe and across the street from the Glens Falls Karate Academy. 10. Charles R. Wood Theater - The Charles R. Wood Theater at 207 Glen Street offers concerts, theatrical performances, and more. It's also a Pokestop! 11. Chuch of the Messiah - Take the crosswalk at the Sip & Canvas across Bay Street and you'll be close to the Pokestop at the Church of the Messiah. 12. Warren Street Fountain - The fountain on Warren Street is a Pokestop, and you'll find it right by Adirondack School Portraits. It's a few buildings down from the Centennial Circle. 13. Welcome to Glens Falls Sign (Glen St.) - At the bridge between Glens Falls and South Glens Falls, there's a Pokestop at the Welcome to Glens Falls Sign. You'll see Finch Paper close by. 14. Centennial Olympic Torch of Hope -The Centennial Olympic Torch of Hope, located near Glen Street at the Centennial Circle, is a Pokestop. It's across the road from Domino's Pizza. 15. Glens Falls Senior Center - At 380 Glen Street, you'll find a Pokestop at the historic Sherman House, also known as the Glens Falls Senior Center. 16. Christ Church United Methodist - The Christ Church United Methodist at 57 Bay Street is a Pokestop. 17. St. Alphonsus Catholic Church - The St. Alphonsus Catholic Church Pokestop is located at 10 Church Street. 18. Statue Plinth - The Statue Plinth Pokestop is right next to the St. Alphonsus Catholic Church. 19. Broad Street Fire Station - Located at 98 Broad Street. Not only is City Park a beautiful spot to relax at, it's now a popular park for Pokemon Go! Around the park, there are several different Pokestops to find. It's directly across the street from the Queensbury Hotel and close to many of the area's shops, restaurants, and other Pokestops. Take a trip to the park today!